Info: There will be advanced and novice division in Nage No Kata, Katame No Kata, and Ju No Kata. 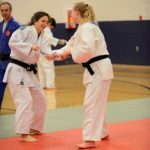 Anyone interested in kata training, instruction, competition, and evaluation is welcome. This is a big tournament and worth attending if you are able. States and it is our distinct honor to host such a prestigious judo event in our state. Registration will close at 8:30am on Saturday, October 20. As usual, the club will cover your entry fee. This is usually a really good tournament. Kent, WA. Online registration will be available soon here. Regional Referee Testing written exam is scheduled for 7:30am. Coach and officials meeting will be at 8:30am. Kata competition will take place at 8:30am. There will be satellite weigh-in, please check. Also, please present current membership in USJF, USA Judo, USJA, or foreign federation. 2. 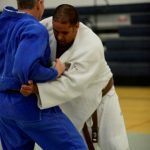 Zenyu Fall Judo Challenge. Here is the entry form for the Zenyu Fall Judo Challenge on Saturday, September 22. The online registration is here. All competitors, the tournament is next weekend on Saturday. Everyone needs to go sign up on-line here. You need to register by Wed May 23rd. The club will cover your entry fee. Don’t hesitate, sign up today! Here is a list of all the upcoming events for which I have information. 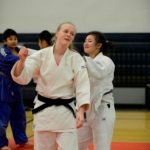 On May 5, 2018 Seattle Dojo will be hosting the Seattle Dojo Judo Shiai and Kata Tournament in Bellevue, WA. This is in Missoula which isn’t very far. 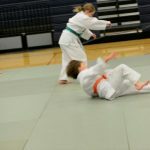 Judo is offered for both adults and children on May 19th. Tournaments don’t get any closer. 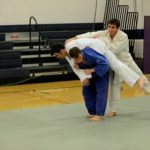 Everyone on the mat should take advantage of this chance to improve you judo skills. Practice is good but competition is like weeks worth of practice in a single day! The entry form is here. Here’s another fantastic training opportunity, a ‘Can’t Miss’ event! to get ready for the Junior Olympics and the US Judo Open. Adult fee is $35.00, youth fee is $30.00. You can register online at here. This tournament is on March 24 in Portland. There is a kata shiai on the 23rd so if you can go and watch that would be a good opportunity to see kata in action. Yesterday, we had 3 competitors at the tournament. All of them did a very nice job. They all displayed excellent sportsmanship, and good judo. In short they did an outstanding job of representing Spokane Judo. Jake Gott did two superlative throws on his way to taking 1st place. Miles Lewis had several hard matches but managed to take 3rd in his division. Finally, Elaina Gott had a tough division and did some very nice judo. 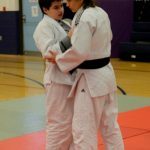 She didn’t manage to place, but she did demonstrate that her judo is improving and her hard work is paying off. In addition to the competitors, I wanted to thank Anna Marie Medina and Allen Monroe for their hard work in supporting the tournament. Without people like them, there wouldn’t be any tournament.